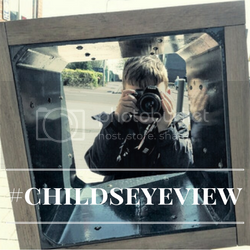 Hey guys welcome to the 3rd #childseyeview linky! Last week I had to cancel the link up as I was so busy and the children was a handful to say the least, sorry we wasn't around but we are back and rocking it this week! My favourite blog post from the last #childseyeview was ask yer fathers you can check that post out here. It was taken by his 3 year old....3!! Go ahead guys, link up your children's pictures and give them a share on the old twitter accounts, Please share other peoples too, its good to share the love in this linky.